I thought your overall question was perfect. I haven’t ever labeled myself as either, but I guess if I had to choose one I would say I’m a night owl. I never even thought that there was a physical difference between the two. I always saw the two categories as either being able to wake up in the morning (Morning Person), or people who are cranky in the morning (Night Owls). The fact that there is a difference in the amount of white matter in the brain is fascinating to me. My only question is, are the morning birds more efficient than night owls at completing tasks in the morning? Great post, I really enjoyed reading it! I completely agree with you questioning these studies because like you said the sample size wasn’t very big or selected properly. I think that night owls are more prone to alcohol use because that is more of a night time thing. 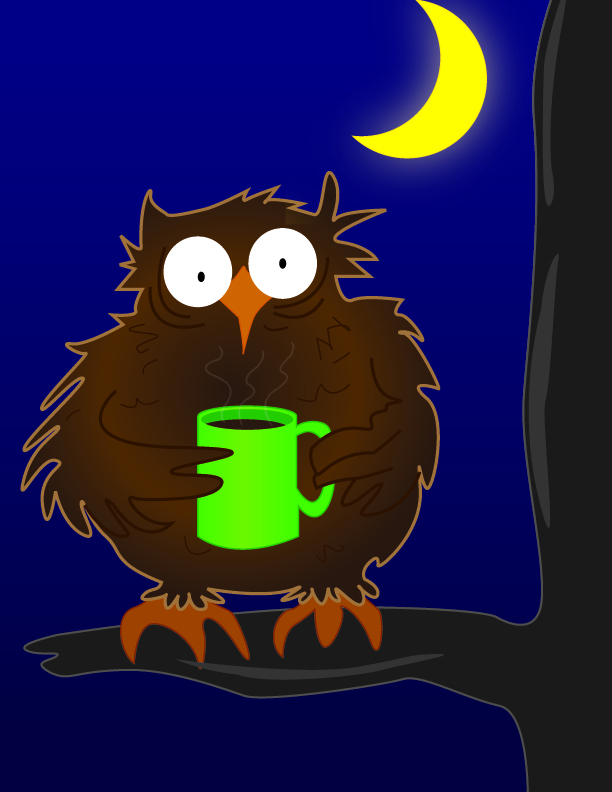 Night owls have lots of energy still at night, so they want to go out, and I think that could lead to the alcohol use. Great post! I can honestly relate to this and can proudly say that I am probably more of a night owl. I never really knew if being a night owl could benefit me but after reading your examples and reasoning I can understand why I do in ways benefit. I can see how morning people would have less energy especially. I found another link that supports why which is on fastcodesign.com. Here is the link backing up your hypothesis, https://www.fastcodesign.com/3046391/evidence/morning-people-vs-night-people-9-insights-backed-by-science Thanks for the post! This article interested me because I feel I am completely on one side of the spectrum. I feel I am 100 percent a night owl. I always stay up later than I should, and have trouble waking up at a reasonable hour in the morning. I was interested in the fact that it may be your mental make up, and not just a simple decision. I always thought it was just my decision. This video I found shows the symptoms of a night owl like myself. I can honestly say I have experienced both of these in my lifetime so far. When I was in elementary school and middle school I was a complete morning person. I was the first up in my house ready to go (especially on holidays). I always thought that people who slept in were ruining the day. Now, as a college student I have flipped sides 100%. I value sleep so much, sleeping in until the last second and stay out/up late frequently. I honestly depends on an individuals lifestyle and what works for them to go through a daily routine. For right now I have survived, especially not having classes until 10am, but if an 8am comes on my schedule anytime soon, I may have some serious changes to make.